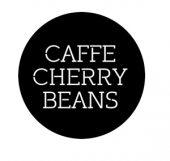 At Caffe Cherry Beans, we aim to provide the finest and freshest selection of speciality coffee for our loyal customers. From our vast array of premium Arabica coffee blends, there is sure to be one to suit all levels of coffee enthusiasts ̱ from our every-day coffee fanatics to those who indulge in a cup every now and again. In store, a comfortable contemporary seating area and inviting cafe style atmosphere greet you. Friendly staff and quality service are sure to provide you with a relaxing and delicious coffee experience.